The best way to play football – get out of the chair in the open and start moving the ball by your own legs! AMD has no 3d, it’s very sad. 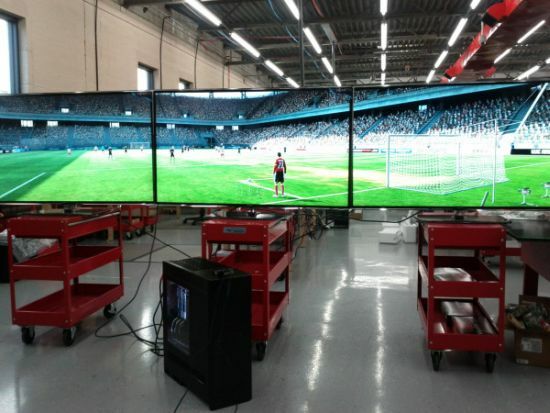 the way FIFA is going atm…this maybe the only real way to play without all the BS! Eyefinity is nothin special… SoftTH works just as good (albeit a little different)and it costs nothing! mr DrBalthar it is not good that you are so fanatic with ATI because you cant see and the goods off the other sides ,for example Nvidia.latest Fermi Quandro cards support up to 8 monitors at 1920×1200 which is the same hardware with fermi geforce with tweak bios .So it is not problem for them to run 3ple monitor but is useless because how many persons do you know which has tree monitors. even PS3 can run on multiple monitors , it is not ATI-AMD technology, it is old technology, regards !! !